At camping Argeles-sur-Mer, take advantage of our range of unusual accommodation, composed of tents Sun Lodge and Coco Sweet. Real cosy cocoons offering all the desired comfort. So ready to experience a holiday that combines nature and comfort? IMPORTANT: We refuse access to families presenting themselves with a number of participants exceeding the capacity of the rented accommodation. Are you a fan of camping holidays and would you like to test a new type of accommodation to live as close as possible to nature? 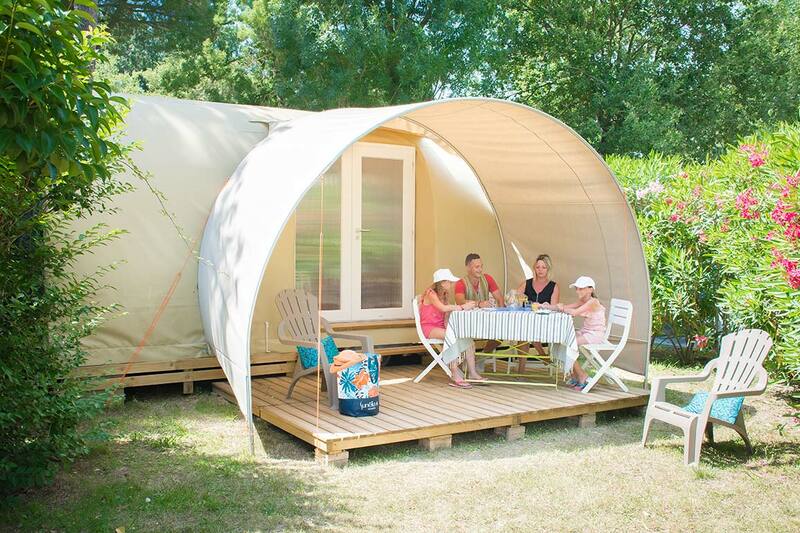 The Argelès-sur-mer campsite offers you 3 types of unusual accommodation to change a little bit from the mobile home and discover a new and original habitat. Choose from the Sun Lodge, the Coco Sweet for 4 people and the Coco Sweet for 2 people ! With its square shape and unbleached fabric roof housing a garden lounge, Sun Lodge takes you to Africa while offering you a breathtaking view of the sunset from your terrace. For cosy and charming accommodation, opt for one of the two Coco Sweet formulas, with its rounded arbour in light fabric sheltering a terrace. The Coco Sweet accommodation for 4 to 5 people has a master bedroom and a twin bedroom, while the Coco Sweet for 2 people is divided between a bedroom and a living room. 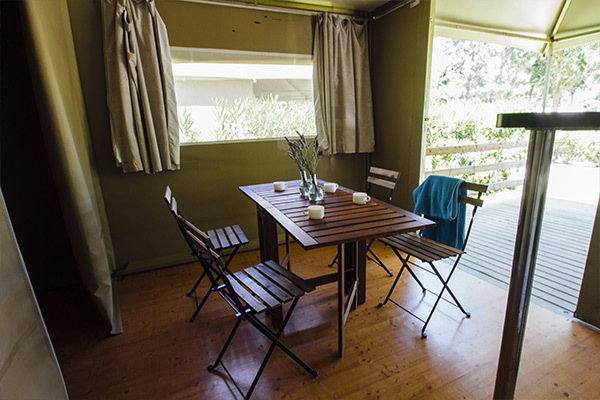 Warm, original, built in natural materials, the unusual accommodation of the Argelès-sur-mer campsite allows you to recharge your batteries in a simple and functional habitat with direct access to nature. You can reach the beach in a few minutes by foot, or explore the dunes for fantastic walks in the evening. The experience of a glamping stay also offers you the opportunity to simply enjoy the calm, well sheltered in your canvas cocoon. An ideal retreat to disconnect from everyday life, enjoy a breath of fresh air and serenity with your loved ones, and rediscover fabulous night-time atmospheres by looking at the stars from your terrace, a cup of tea in hand. Lovers in search of tranquility, nature lovers or simply curious about new and eco-friendly habitats, don’t hesitate any longer and try it!